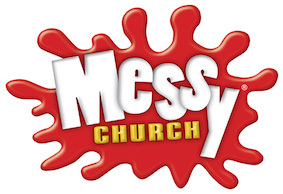 Messy Church is an opportunity for families to come, have fun and explore faith in a creative, interactive way. There is no pressure. Most of the people who come have no connections with church at all which is just FINE! We ask for a £1pp donation to help keep Messy Church going. The Messy Church craft session lasts about 45 minutes and we have had all sorts over the 6 years we have had Messy Church going. We have a 15 minute “Huddle” time to think about life stuff that is important to families and how God could fit into it. At the end, we always have nice family style, sit down meal (vegetarian option always available) . We work hard to make this a positive experience. Just come along or if you have any questions, give us a bell, email or whatever!